While many people take advantage of unused spaces and second homes as rental locations, short term rentals have become increasingly popular, edging out property owners in the market who are looking for guests willing to sign contracts for lengthier stays. Part of this trend is due to services like Airbnb, which allow leisure and business travelers to rent a home or a room for the extent of their trip, rather than staying in a hotel. Since Airbnb’s inception in 2008, more than 200 million people have used the service, with higher annual numbers than ever reported in recent years. Not only are people interested in sharing their spaces, but the idea of staying somewhere other than a hotel is appealing to many as well. So, what does this mean for homeowner’s insurance? Once you start renting out your home or property to others, a certain level of risk is inherently involved. After all, renters have the potential to accidentally or purposefully damage your property—but renting it to someone makes it a commercial operation, rather than a personal use. In addition, standard homeowner’s policies don’t cover terms of service for shortterm rentals. Another reason why your traditional homeowner’s insurance policy likely won’t cover shortterm rentals is because of a lack of understanding of potential risks. Companies calculate the price of homeowner’s insurance based on the likelihood of potential damages and what the cost would be to cover such repairs. Even though companies like Airbnb have been operating for a decade, there’s still not enough information available to insurers to determine the potential scope of shortterm rental claims. Additionally, insurance companies will need to update their insurance contracts, which involves gaining approval in all states where a short term company operates—a lengthy and costly process. What Are My Insurance Options as a Host? 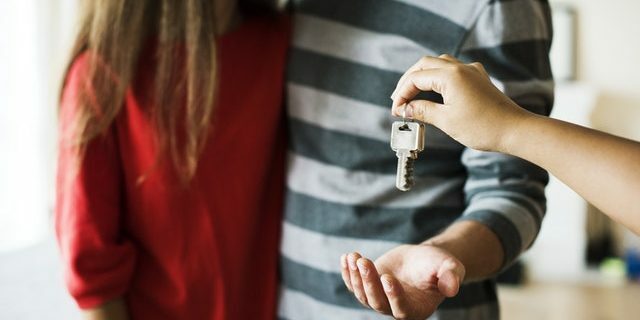 Just because many traditional homeowner’s insurance policies don’t cover shortterm rentals, that doesn’t mean you don’t have options. One of your first steps when considering becoming a host is to talk to your insurance provider. They’ll be able to let you know what your policy covers, what it doesn’t, and what other options are available to you. Many shortterm rental services also provide some form of insurance coverage for their hosts as well. For example, Airbnb offers a host protection insurance package by default, which covers up to $1,000,000 in damages that may be caused to your rental property by a guest. This means that you have some form of coverage, plus a professional insurance claims adjuster who will handle the case for you, though some exceptions do apply. While the company’s coverage package is decidedly strong, Airbnb’s policies may not be enough to cover catastrophic damage caused by a renter. To help ensure protection of your property, you should consider looking into an insurance policy that covers shortterm rentals. Some insurance companies have created programs that do this to supplement protections of homeowner’s and property insurance. As the shortterm rental industry continues to grow, it’s likely we’ll see more insurance companies providing coverage for these forms of liability. Until then, it’s best to review your policy to ensure you have the coverage you need.